It is no surprise, choosing the right dentist to change your smile, is the no. 1 stress patients have and hence keep putting off going to the dentist as long as they possibly can. Find a dentist that is right for you with us. Will I really like him? Does he know what he is doing, does he have the cosmetic experience? Will it look nice in the end and will my friends like it? It’s going to cost a bomb, isn’t it? I hate the sound of the drill and the smells; do I really have to do it? Its surely going to hurt, isn’t it? Its too hard, I might as well pull all my teeth out when I am 70, shouldn’t I? 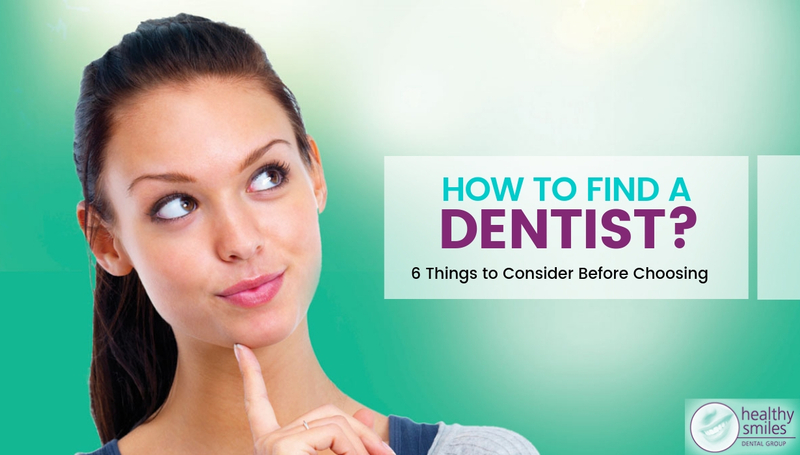 It certainly feels like there are too many decisions and many potential mistakes you can make, particularly if it has been long since you have seen the dentist. All the noise on the radio with dentists screaming “see me” and the jazzy adverts don’t help either. With all this happening, how do you make the right choice and who do you trust? But while this can be a minefield, it doesn’t have to be. What patients want is a dentist they can trust. A dental team that has credibility, the right professional experience and provide a simplified, relatively fast treatment process without any cost blowouts. A predictable, cosmetic and cost-effective result is what we really want, right? If a structured approach is taken and the right research is done, you can manage the seemingly endless choices and make the right decisions. So, what are these key things you need to know before you start this journey to the wonderful new smile and the new confident you? Perhaps the most important decision you will make is who you want your dentist to be. If you are not sure where to start, ask your family and friends who have already been there and done that. Dr Ved Berani recommends speaking to them about their experiences as well as scouring the online review sites such as Google and Whitecoat to help narrow it down. Recent studies suggest that independent online reviews are as trustworthy as personal recommendations and sometimes it is also how the dental office has responded to a negative review that sets them apart as being a trustworthy candidate. Dentists who take pride in their online reputation are more likely to deliver the best treatments in your interest than the ones who don’t care. Once you have made a shortlist, dig deeper. Research from the dentist’s website about their cases and the kind of dentistry they do and how they take care of their customers. Look for someone with long enough professional experience, at least 15-20 years and also advanced qualifications in advanced aesthetic and implant dentistry. Dr Ved and his team at Healthy Smiles offer a no obligation free assessment and consultation for all new patients, no strings attached. This way you get to speak to a real professional and get to ask your questions and see if they are a good fit for you. Dr Ved recommends, checking for any awards the practice has won and also how they are regarded in the industry. Cosmetic dental practices are different from your average dental office and strive on providing excellent customer service both during and after the treatment. Check in to see their Facebook page and what the culture of the dental office is like. Are they friendly, do they enjoy what they do and are they passionate about their work? Dental offices that are happy and work well together will treat you the same and invite you to become a part of their family. The right attitude will deliver the best dental outcome for you. Research what memberships the dentists have and professional associations they are linked to. Having professional connections to associations means that dentists make an effort to learn continuously and take advice from peers. Check for investments the practice has made in technology and education to provide seamless and pain-free solutions such as intraoral scanning, Smile simulations and 3d Xrays. Innovative dental offices return a considerable amount of their profits in upgrading equipment and investing in technology which in turn creates excellent experiences for their patients. They train themselves and their staff continuously and are not afraid to step out of their comfort zone to travel and learn from the best. For the anxious and phobic, check in to see if they do sleep dentistry and do they have the facilities? At Healthy Smiles, we offer a full range of sleep dentistry/sedation options for our patients from laughing gas to twilight sedation. Check with your dentist if he can provide these anti-anxiety solutions before and during treatment. If the last certificate on your dentists’ wall reads his degree when he graduated from dental school, RUN, RUN, RUN. What is it Going to Cost and What is Your Budget? It is important to get adequate financial advice both before and during your procedure as treatment options can be varied and changes to treatment during the course can also have huge financial impacts. Most people who are looking to get major dental treatment such as crowns, veneers, implants are looking for long term solutions and hence the cost can be substantial especially if they are digging into their savings or borrowing from parents or taking out a personal loan. It is important to also find a dental practice that offers in house payment plans such as Smile Choice with interest-free periods or instalment plans with deposits to reduce the financial impact upfront. Also, good dental practice will help you maximise your private insurance benefits and be able to stagger some treatments over 1-2 years so as to reduce your out of pocket expenses. At the end of the day, financial consent is as important as medical consent and Dr Ved says no decision about your cosmetic dental journey should be undertaken without a full understanding of the costs and benefits. Do You Understand the Information You have been Provided? According to Dr Ved Berani, principal dentist at Healthy Smiles, a written quotation of treatment should be asked for after a decision is made on the treatment option along with an estimate of possible variations that may happen during treatment. You must understand what is and isn’t included in the treatment plan and if there is anything you don’t understand, don’t be afraid to ask. To avoid any confusion for patients who haven’t seen a dentist for a while, a stage-wise approach is taken by Dr Ved and his associates, so the information and treatment can be broken down into small goals and time frames. We like to invite family members or a special friend at subsequent consultations when considering major treatment decisions. It is important to write down all queries on a piece of paper and do your research on Dr GOOGLE, so you are armed with all information. We encourage multiple consultations, so patients fully understand the risks and benefits of different treatment options and can hence make an informed decision. A complete treatment plan should also include the likely postoperative costs and be all inclusive of review appointments to avoid bill shock. It is not uncommon when it comes to cosmetic dental treatment and major treatments such as implants, that treatment times can be blown out due to inadvertent complications. A good cosmetic dentist with experience should be able to give you a reasonable time frame for completion of your treatment as well as the likelihood of complications and variations to the timeline in case such occurs. It is important to discuss important events such as birthdays, anniversaries or travel dates with your dentist, so this can be factored into the plan and the treatment can be varied or staggered around such important dates. A frank open dialogue with your dentist is pivotal so your expectations can be met and look for a dental office that has a big enough team that does most of its treatments in the house so there is back up if necessary. Having good coordination and communication will ensure adverse events don’t affect you socially and lead to a potentially embarrassing situation. This is where tourism dentistry has been a true fallacy and the risk of having complications and not having your dentist at arm’s reach can have too many potential downfalls in your long-term dental health. What Do You Want the Final Result to be Like? Age old saying “You get what you pay for” never had more truth than at the dentist. Ask yourself the question, what do I want the final result to look like and how long do I want my dental treatment to last and what risks I am signing up for. Generally, the more long-term and cosmetically enhanced the dental solutions, the more expensive they can be. Beware of dentists advertising half-price dentistry and “We will beat any quote” as always remember it is your mouth and teeth they are playing with not theirs. Way too often, Dr Ved receives patients from such practices where teeth have been butchered by inexperienced dentists and treatment provided which was unnecessary, simply to make up for the reduced fees. Cheap overseas imitations from laboratories cannot replace and the Australian technical laboratory products which also come with now a 15-year laboratory warranty at Healthy Smiles. “Peace of mind is what we call it”, says Dr Ved. We are all about sleeping well at night and making sure our patients know that is something goes wrong we will be there for them to fix it. Dr Ved and his team use digital smile design software to produce this before /after even before starting your treatment so you can see what it is going to be like when the treatment is finished. Obviously, final outcomes may differ slightly but with technology and careful planning, a predictable result can be achieved today with a mixture of smart tools and modern dental solutions such as veneers and implants and teeth in a day. Remember, the more you know the better so keep asking the questions and go into the entire process feeling confident about your decision. A good dentist should listen more and talk less, a bit ironic isn’t it? To book an appointment with our professional Blackburn dentist, please call us on 03 9877 2035. « Dental Implants: How, Why & When are Dental Implants Necessary?